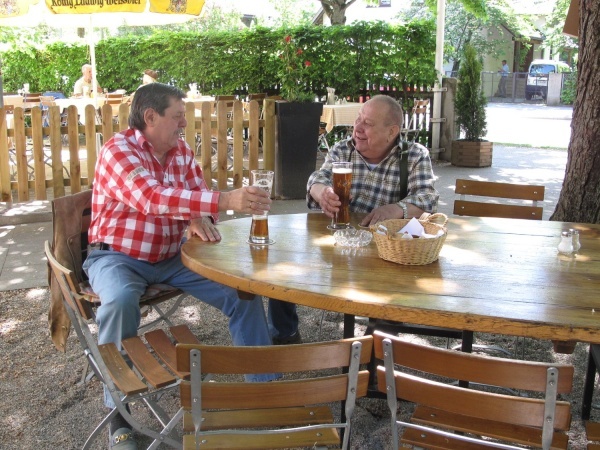 Prinzregent Garten is the only real beer garden in the Pasing area of Munich. It is located near the Westbad public swimming pool and has about 800 seats shaded by dense chestnut trees. The self-serviced canteen offers traditional Bavarian meals, such as Spare Ribs, Krustenwammerl with Kartoffelsalat etc. A Maß Kaltenberg costs €7.10 (July 2016). The only disadvantage of this beer garden is the close proximity to the street. A public viewing screen is installed in the beer garden during major football tournaments when the weather is good. When the weather is bad, the viewing is available in the ballroom of the restaurant building. The beer garden is open daily on clear days from April until October. This page was last modified on 18 May 2018, at 19:29.